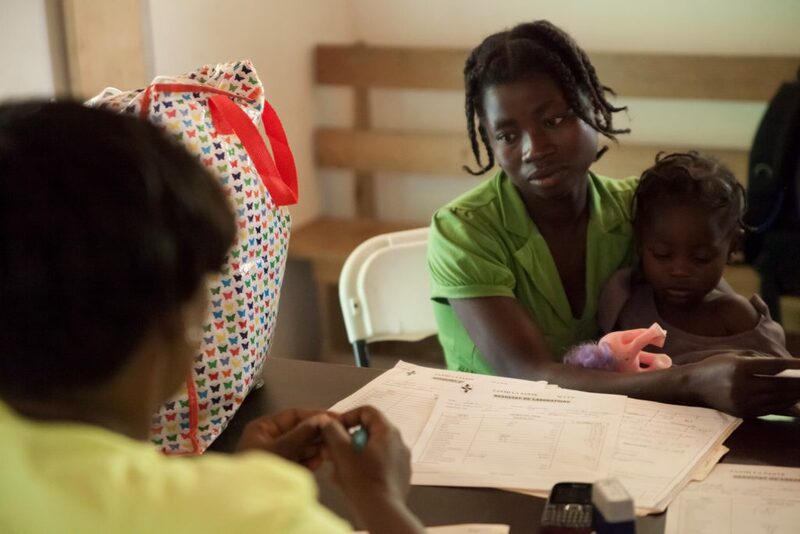 KANPE has partnered with Zanmi Lasante (Partners in Health) to support access to healthcare by eliminating financial barriers in vulnerable communities. In 2011, we set up a clinic in Baille Tourible. Before that, the nearest clinic was 6 hours away on foot. This clinic serves more than 11,000 inhabitants. first time since 2011, no new cases of cholera were reported. Conducts malaria screenings. More than 1,000 Malaria tests are performed each year. Supports and cares for pregnant and nursing women. An average of 150 consultations/month are provided to pregnant women. Educates women on the subject of family planning. Offers health education and training for personal hygiene, environmental hygiene, childcare and HIV/STD/STI education. Supplies patients medical exams and basic essential medication.